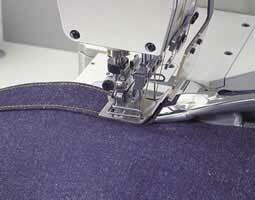 attaches waistbands to jeans and casual pants at the splendid sewing speed of 5,000rpm. High-speed performance and improved reliability and durability. the machine achieves high-speed performance of 5,000rpm with reduced operating noise and vibration. And now that an automatic lubricating system and strong needle-feed mechanism are newly adopted, the machine guarantees improved reliability and durability.  Excellent seam quality and flexibility. 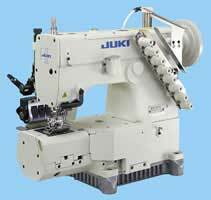 The MH-1410 is a needle-feed machine noted for an outstanding feed efficiency that ensures smooth stitching at the beginning of sewing and consistent stitch pitches when sewing multi-layered sections. 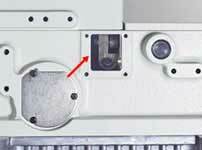 The stitch length is adjusted by push-button control. 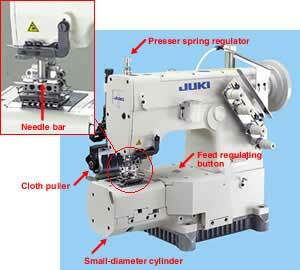 The stitch pitch can be easily adjusted since the needle feed synchronizes with the bottom feed. The presser spring regulator is provided with a coil-spring-loaded lock mechanism. 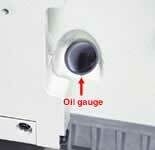 The machine comes with a thick needle bar that responds to heavy-weight materials. The machine equipped with V072 can be selected when placing your order. 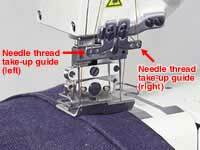 The machine uses a right-and-left split type needle thread take-up guide. Even when the right and left needles sew materials of different thicknesses, separate stroke can be set for the right and left thread take-up guide to ensure consistently excellent seam quality. The cloth puller is driven by a top roller, ensuring excellent feed efficiency and uniform stitch pitches at multi-layered parts of the material. 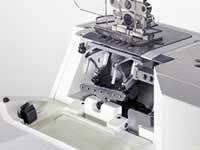 The machine comes with a light-in-weight roller that offers good adhesion on the material to ensure consistent stitch pitches regardless of the sewing speed, i.e., both at a low high speeds. The looper can be tilted toward you by operating the lever for easy threading of the looper. The differential of the needle feed amount is adjustable. 25 % of the latter. 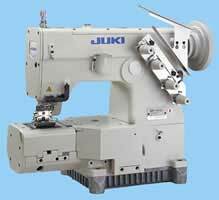 Waving or twisting of the material can be prevented by adjusting the differential feed amount to suit the material thickness, the type of folder to be used, and other sewing conditions. The fully automatic lubricating system saves you the chore of lubricating the machine yourself. 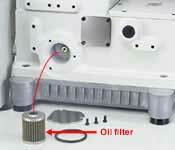 The lubricating mechanism is provided with an oil filter to prevent dust from entering inside.